The Spice Raider Mouse is a breed of mouse found in Prickly Plains. 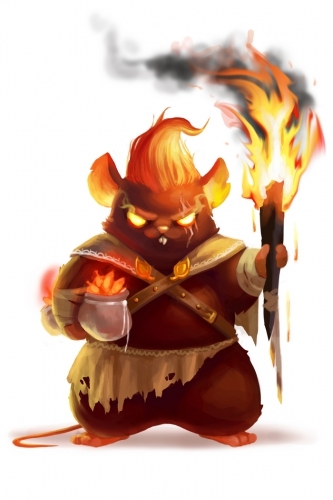 Armed with a torch and a tough exterior, this burly spice mouse raids the plains at night, under the cover of darkness. Hot spice is easily visible under low light conditions due to is ember-like glow, and with his imposing stature, makes it easy for him to collect without much trouble. The Spice Raider Mouse has been found to be attracted to Hot Queso. Only Arcane traps are effective against the Spice Raider Mouse, all other power types are ineffective.